The most important and glorious festival celebrated throughout the country. 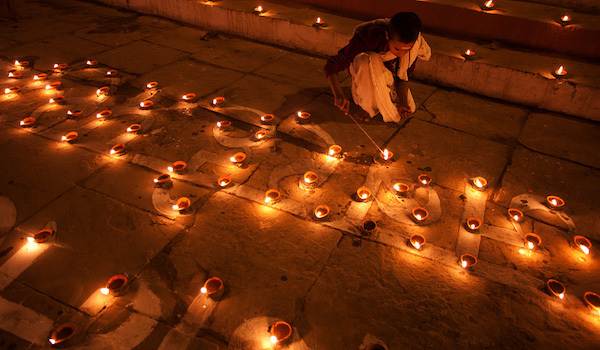 Diwali or Deepawali in Sanskrit literally means an array of lights. Stories from mythology are many and one of the most prominent one is of the epic hero Lord Rama, the incarnation of Lord Vishnu the preserver from the Trinity. He was exiled to the forests for fourteen years accompanied by his wife and brother. During the last year of exile Ravana abducts his wife Sita and then begins the journey of getting her back with an army of his devotees monkeys. After slaying Ravana, the demon king, Lord Rama returns with his divine consort Sita and brother Laxmana to his kingdom ‘Ayodhaya’. The day he returned was a new moon night or Amavasya and therefore the people of his kingdom celebrated his return lighting the entire city with clay lamps. He is known to be the best king of our country had and his period is famously termed as ‘Ramrajya’ – kingdom and rule of a perfect king who lead a life full of challenges and unmoved by the hurdles of life. His people were supreme. We Indians or Bharatiyas follow the moon calendar. Diwali is a jamboree of the last five days of Krishna Paksh or the dark side in the last month of ‘Asvin’ or ‘Aaso’. Diwali is celebrated from Ekadashi till Amavasya OR from the 11th day till 15th day, which falls in either late October or early November every year. This is probably the best time to be in the country. The weather starts getting cooler and after rains the entire landscape is green and lush. Witnessing lanterns, designs adorning the door of each house, traditional sweets being made at home and after the quarterly tests, its time for the kids to enjoy the festivities along with the family. The celebration begins on the 11th day of the receding moon cycle called ‘Ekadashi’. When we are through with the cleaning of our houses and cooking some delicious savouries and sweets. On the day one, or ‘Agyaras’ or Ekadashi we wear the best clothes and visit the temple with offerings of sweets to the lord as the commencement of Diwali celebration. On the day two which is called ‘Vagh Baras’ we feed the cows, most revered animal in our country almost like a surrogate mother. All of us at some point have sustained and nourished ourselves on cows’ milk, isn’t it? She became very sacred because she nourishes like a mother. Therefore in our culture sanctity is given to the cow as it is the way to recognize the qualities that are there in the nature. Cow is also a very sensitive mammal; she is capable of understanding human emotions, the other two being snake and a crow, therefore the reverence in our vedic culture. The festival kick starts with ‘Dhan Teras’ or the thirteenth day. On this day a purchase of either gold silver or some utensil, depending on what you need or your budget allows, is considered auspicious. Then comes ‘Naraka Chaturdashi’ or ‘Kali Chaudas’ or the fourteenth day. In our family we have an interesting ritual of offering gratitude to the ‘Kul Devi’ or the family goddess that represents nature. This form of sanctification is restricted to only some and therefore it is more of a family ritual. We wear dark color clothes, make snacks as an offering and after a small ritual we share the ‘Prasadam’ or the snacks offered to the mother goddess and spend time with the family. The most important day is Diwali, the day for “Mahalaxmi Pujan” or praying to the mother goddess Laxmi and inviting her home. After cleaning, cooking and making beautiful designs near the entrance. Followed by ‘Laxmi Pujan’ at home and ‘Chopada Pujan’ or the Book Puja is done at the office. In the office all the books of accounts are kept in the ritual as a form of respect. Thereafter bursting crackers and dinner. And during the daytime a visit to each other house for a brief visit and exchange of goodies. Next day is Padwa or the New Year of the moon calendar known as Vikram Samvat that is 56 years ahead of the Gregorian Sun calendar. The month starts the day after the full moon day with an exception of Gujarat where it starts from sunrise after the dark night. The New Year begins by a visit to the temple where there is ‘Annakoot’ or the ‘Chappan Bhoj’, which is offering to the lord of 56 food items. 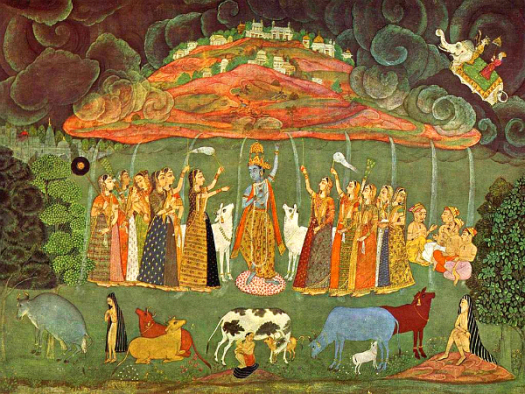 This is also the day when Govardhan Puja is done as Lord Krishna had saved the lives of many people by giving them protection underneath the Goverdhan Hill from torrential rain. It’s the other way of saying thanks to the Mother Nature. We have a wonderful tradition of considering each day in life as a celebration. The mythology is just one reason but it’s all about reveling life to its fullest and paying gratitude to people who play an important part of our lives and mother earth. Diwali is an organized festivity, so that a human mind remains joyful that helps in leading a fruitful life. As I mentioned earlier this is the best time to visit the country. You could be in a small town or a big metro city. You will be welcomed at each home and could be part of this merriment. The dates this year are from November 3rd till 09th, 2018 and 2019 dates are October 24th till 29th. So come to India during this time and we will ensure you have an enjoyable time and an amazing experience. Following Diwali after 11 days is Ekadashi or the eleventh day when ‘Dev Diwali’ is celebrated. Very prominent in some parts of the country, especially in Varanasi. Millions of clay lamps adorn the banks of the river Ganga during these five days that ends on Poornima or the full moon day. The atmosphere is mesmerizing. I had the privilege to be there and it was an exhilarating experience. Also the best time to be in Varanasi. The dates are November 22nd, 2018 and November 12th 2019. My country is vast and during these dates you could also be in the South… but that requires another article! 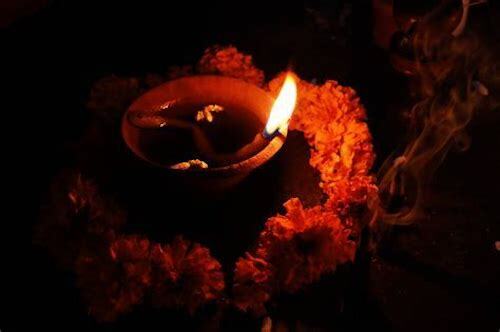 Till then… Happy Diwali everyone and a prosperous New Year (2076)!